There are multiple artists using the name Jonesy: 1) An early 70's progressive rock band 2) A Norwegian rapper 1) Jonesy were an early 70's band in the style of King Crimson but with the unusual element of electric trumpet from Alan Bown. Other band members were John Evan-Jones - guitar & backing vocals, Jamie Kaleth - lead vocals & keyboards (including some excellent Mellotron), Gypsy Jones - lead vocals, bass guitar & recorders and Plug Thomas - percussion and backing vocals. 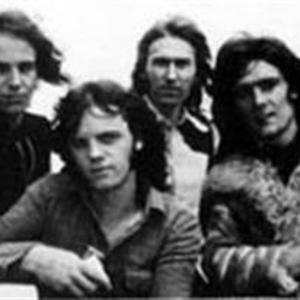 Jonesy were an early 70's band in the style of King Crimson but with the unusual element of electric trumpet from Alan Bown. Other band members were John Evan-Jones - guitar & backing vocals, Jamie Kaleth - lead vocals & keyboards (including some excellent Mellotron), Gypsy Jones - lead vocals, bass guitar & recorders and Plug Thomas - percussion and backing vocals. They recorded three albums on the Dawn Label "No Alternative", "Keeping Up" and "Growing". All are strong with the aforementioned KING CRIMSON influences. All can be approached with a degree of assurity but "Keeping Up" is probably the strongest of the three. All were reissued on CD by Korean label S-Wan. Jonesy is a Norwegian rapper based in Kristiansand.